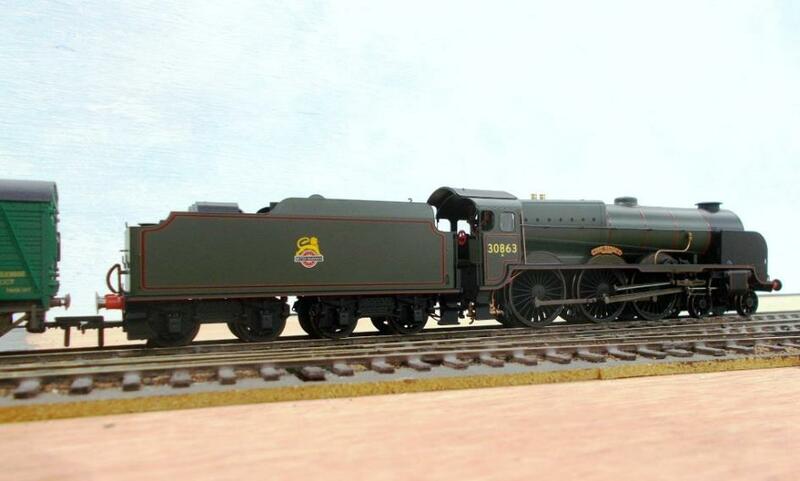 Hornby’s 2019 class LN ‘Lord Nelson’ locomotives are superb models! Hornby’s Lord Rodney is in its livery as it appeared between August 1949 and October 1957 (after when it received a later totem). However, the red ground name plate could place the locomotive in the early fifties as the British Railways Board issued an edit in 1952 that all nameplates should be painted black upon main works repaints although many of the running sheds repainted the ground red. The forward-facing Lion on each side is correct. This locomotive was coupled to an eight-car set of Metro-Cammell Pullman cars which it pulled albeit needing a very gentle start in order to avoid wheelslip; this was comparable with Bachmann’s excellent model of some 25-years vintage (which still holds its own today). Both Hornby and Bachmann model locomotives were tried with an eleven-bogie load but failed to haul. Somewhat disappointing for a new model. Hornby’s Lord Nelson is in its livery as it appeared between March 1957 and August 1962 (withdrawal). However, the speedometer drive places the model post-December 1960 when it was equipped with both speedometer and AWS. 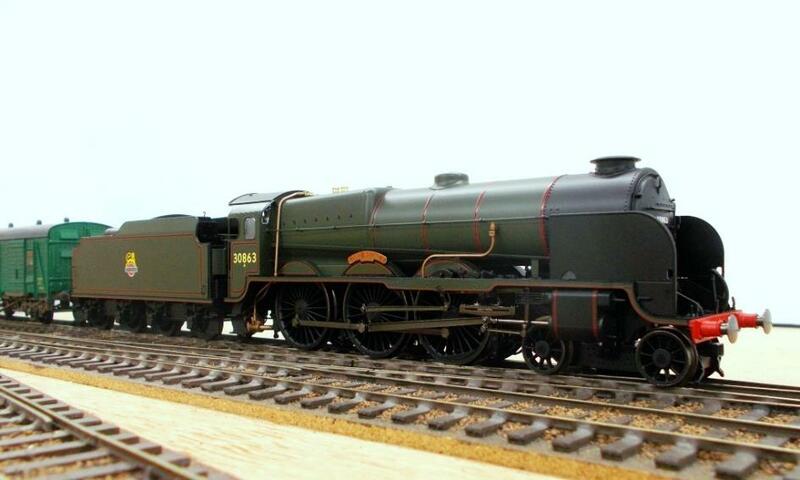 Although no.30850 ‘Lord Nelson’ is DCC sound-equipped the model does not come with DC running enabled (several were checked by the model shop) meaning the chip has to be reset to CV29 code 6. Fortunately, Morris Models (a supplier of DCC paraphernalia) can reset chips for customers buying locomotives and do offer a ‘chipping’ service for modellers with existing models.